Interested in exploring 3D scanning, but not sure where to start? This workshop will provide an overview and demonstration of various approaches, from DIY Kinect to structured light and handheld laser scanners. Participants will have the opportunity to have their faces scanned, and learn to clean up and sculpt the file to prepare it for 3D printing, using free and/or open source software. Sophie Kahn earned a BA (Hons) in Fine Art/History of Art at Goldsmiths College, University of London and an MFA in Art and Technology Studies at the School of the Art Institute of Chicago. She has exhibited her artwork internationally. Sophie has taught in the Department of Digital Arts at Pratt Institute and at Columbia College, Chicago. Sophie is a 2011 New York Foundation for the Arts Digital and Electronic Arts Fellow. 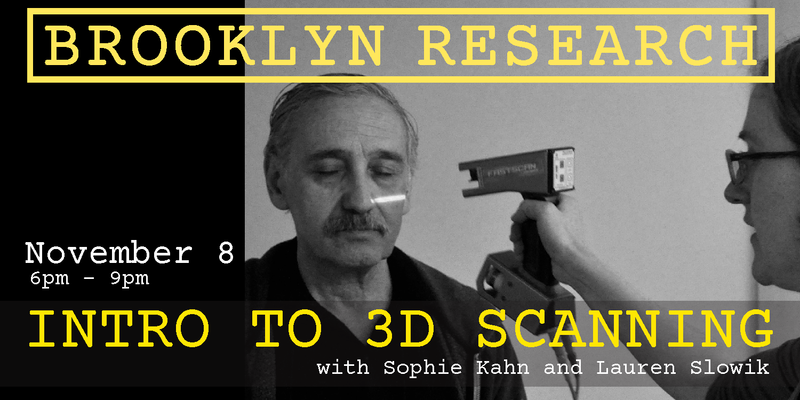 She also runs ScannerWorksNY, a business providing 3D scanning and consulting services to artists, designers, and filmmakers in New York City. Requirements: Bring Laptop with a USB port and a charger. Setup instructions will be sent out to you two days before the class. Please make sure you are all set for the class.